You’ve planned the travel dates and made all the reservations for your Universal Orlando vacation, and the kids are so excited they can’t wait. Now it’s time to think about packing, and Orlando Informer is happy to help you get started with our certified “Happy Family” list. Below you’ll find everything from the vacation standards to expert advice designed to make traveling with the kids safer and easier. Your destination: Universal Orlando Resort. First tip: There’s no reason planning and packing should be a one-person affair. Get the whole family involved in determining exactly what your clan needs to make everyone comfortable while out of town. This is just one way to extend the fun of travel! As with all air travel, if you will be flying to Orlando be sure to brush up on the FAA rules for packing. Start here for reminders of regulations such as luggage size as well as permitted and prohibited items. Also, make sure you know what fees your airline charges for checked luggage and what penalties they may collect for “overweight” bags. If you have the room, it’s always a good idea to pack a change of clothes and the minimal toiletry essentials for each member of your family (like toothbrush and toothpaste) in a carry-on. Hopefully you won’t need them, but you’ll want them should there be any mix up with your luggage. Bottles and snack items (again, check those FAA rules). Pacifier or gum (both have been used to help with ear popping at takeoff and landing). Any medications or health supplies your child may need. Extra suitcase or duffel bag for all your shopping and souvenirs. There’s nothing like spending too much on park merchandise to then realize you have to buy another piece of luggage too. Your needs in this department will vary considerably depending on where you are driving from and, once in Orlando, where you are staying. If you are staying on-site at Universal, you may not end up doing much driving around Orlando (unless you have several off-site activities planned, like a day at SeaWorld or Walt Disney World). If you are renting a vacation home, you’ll want to make sure you can find not only the theme parks but grocery stores and other necessities as well. Entertainment the whole family can enjoy (car games, scary tales on CD, etc.). Extra in-car storage, like this. Proof of insurance for rental cars. Child car seats or booster seats. The Florida child restraint laws may differ from those of your home state, so you want to visit this page for the latest legal guidelines. Keep in mind that it is always less expensive to buy anything off-site than it is at the theme parks, whether we’re talking necessities, groceries, or even souvenirs. And Orlando is just like any other town in that we have our fair share of Walmarts, Super Targets, CVS stores, Walgreens, liquor stores, you name it. So it is a great idea to become familiar with the location of the closest stores to where you’ll be staying. If you’re staying on-site at Universal, while the hotels don’t provide complimentary transportation to the stores, there are many options within a five-minute drive and taxis are always available. By the way, if you are staying on-site, this is just a quick reminder that all of Universal’s on-site hotels charge guests for parking, whether you’re visiting for a few hours or a few days. There is no way of getting out of their parking fees (except to leave your car at home). 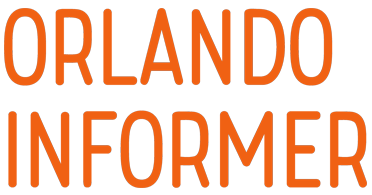 We know there is an incredible amount of information on our website for Universal Orlando vacation planners. Because of this, we also know it is impossible to effectively use all of our resources without dedicating at least a few hours for reading through our pages. Well, when do some family members have a few hours to spare? Often during travel to Orlando! So it’s a great idea to visit the OI Universal Center table of contents right before you leave and see what pages you might want to freshen up. The same goes for all of our blog posts too. If you prefer to keep your reading online, virtually every page on our site is also available in a mobile-friendly version for easy access with a smartphone web browser. Extra snacks. Many families like to pack simple breakfast foods to enjoy in their hotel rooms. To keep certain items chilled, bring a cooler and use free ice machines for cooling. Some hotels will provide refrigerators too. If you’re staying on-site at Universal, fridges are in each room. Resealable plastic baggies in different sizes. These are good for holding snacks as well as packing a bathing suit that’s still damp on the day you leave. Flat sink stopper to accommodate any kind of sink and soap for emergency clothes washing. If you are traveling with kids, there is a strong likelihood that you will need to wash something during your trip. Universal on-site guests should note that the hotels do provide pay-per-use laundry machines. Small rope or cord and some clothespins. With these you can string a makeshift clothesline in your bathroom or on your balcony for drying bathing suits or washed items. Family first-aid/health kit. Be sure to include everything from prescription medications to over-the-counter medications such as pain reliever and allergy medications. Also consider packing anti-nausea/motion sickness medication, depending on your family’s needs. Include a thermometer and medicine measuring cups or spoons for children’s liquid medicine. If you’re going to spend a late night at CityWalk, but still have to get up with the kids in the morning, you might want a bottle of this stuff too! Extension cords that support multiple plugins. This accessory will ensure you don’t have to tear apart your hotel room to find the closest outlets to your bed — and it will prevent arguments when everyone goes to plug in their phones at the end of the night. One dollar bills in U.S. currency. In addition to tipping at restaurants, remember that it is considered courteous to tip when you receive personal service from bus/shuttle drivers, bell staff, parking valets, etc. It is also considered courteous to tip room attendants (and do so each day since they rotate rooms). If you’d like more advice on tipping, here’s a good article. 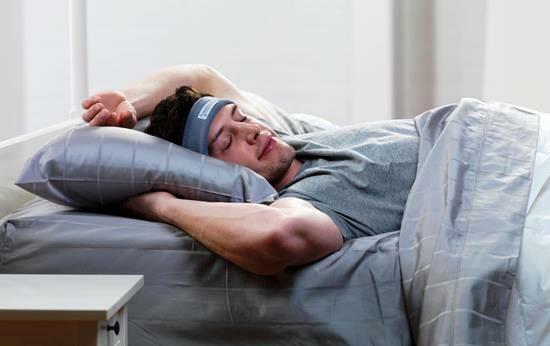 SleepPhones – Pajamas for your ears. Your OI touring plan: the more prepared you are, the better your day will go. 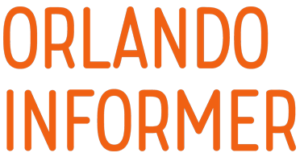 But do remember you can also quickly access our touring plans on any smartphone web browser — just navigate to OrlandoInformer.com! IDs. While it’s a good rule of thumb for everyone old enough to have a valid government-issued ID, it is a requirement for each person who is 21 or older and wishes to purchase alcohol. Keep in mind, for alcohol, it must be a government-issued photo ID — those papers you get when you lose your license don’t count. Also keep in mind you may need your Florida state-issued ID for certain Florida resident discounts. Camera, an extra camera battery, and an extra memory card. If you happen to forget any of these items, the Photo Connect stores at the front of each Universal theme park can help, but get ready for some sticker shock. Extra cell phone batteries or external cell phone chargers. Universal does not provide any charging stations inside the parks, but will rent you a portable charger for a hefty fee. Since you’ll likely be touring for many hours at a time, taking photos, posting to Facebook, etc., there is a very good chance one charge simply won’t cut it. Rain ponchos. You really will get soaked on the water rides at Islands of Adventure, and in Orlando it rains every day in the summer. Bandages and antibiotic cream. And be prepared for blisters. Hand sanitizer. Lots of guests have clinched the hand bars on Hollywood Rip Ride Rockit before you. Travel packs of facial tissues. Medications, over-the-counter pain reliever as well as prescriptions. Motion sickness medications. This one will depend on your family’s needs. Small hair brush and/or comb. You’ll have lots of photo opportunities, and it only takes one trip around Bilge-Rat Barges to ruin your hair for the rest of the day! Souvenir money. Credit/debit cards are easier to carry around and accepted practically everywhere, so we recommend getting pre-paid debit cards for convenience and to create spending caps. If your vacation is primarily at Universal Orlando, you can also consider Universal’s gift cards. Keep in mind it’s always a good idea to have some cash too, just in case. Waterproof pouch for the most sensitive items, like cash or a passport. Plastic grocery bags wadded up (or plastic zipper bags). These are useful for wrapping up items before the water rides if not using a locker. The parks state that you cannot carry in full meals, or any food that requires heating, so for food your day pack has to stay limited to snacks. But this is one policy that is barely enforced, and we can’t tell you how many times we’ve seen families taking out deluxe picnic lunches from their backpacks. So if you’re working on a tighter budget, consider carrying in several food options including small snacks and bagged sandwiches. Just keep in mind that since the policy does exist, there is always a small chance you may be asked to dispose of larger food items before entering the parks. For drinks, you are perfectly welcome to bring in bottled water, sports drinks, etc. For those on a budget, one of our favorite tips is to bring in a beverage container that can be filled at the water fountains for free, then add a splash of flavor with a Mio or similar product. Reminder: No glass containers and no alcohol may be carried in. If you’re wondering how big of a daypack or backpack you can bring into Universal Orlando and store in their lockers, visit our Complete guide to Universal ride & rental lockers. Additional sun protection: hats, sunglasses, bandanas. Flip flops or other shoes you don’t mind getting wet (if you don’t want to store your shoes and socks in a locker for the Islands of Adventure water rides). Cargo pants or shorts with pockets that secure with a zipper. The more things you can put in your pockets, the fewer things in your day pack. And no matter what clothing you wear, remember this advice: the deeper the pockets the better. Tip: It is not unusual to walk five miles or more during a typical day at the parks. This makes your family’s shoe selection very important. There are no “requirements” imposed by the parks, but since achy feet will quickly turn into cranky attitudes, some careful thought should be put into footwear. If you’d like a suggestion, we can’t recommend Chacos highly enough. They might not be the stylish shoe around, however. Just one feature: the rubber soles don’t absorb moisture, which means the sandals dry very quickly and there’s no stink from sweaty feet! Sun hats, bandanas, sunglasses, sunscreen (Yes, this really does bear repeating!). Lightweight jacket (something easy to carry around, a hood is nice for the kids). It’s always good advice to dress in layers. This is particularly true during the winter months in Orlando, when bright sunshine can make the midday warm enough for t-shirts and shorts, but once the sun is gone it will get cold very quickly. Small snacks. Sometimes a hungry child’s meltdown comes when it’s really hard to purchase a snack, like when you’re halfway through the line of a super popular attraction. A small snack pulled out of your cargo pants pocket just might save the day! Disposable cups with lids. Your budget may not require this, but it makes it easy to split a drink between small children. 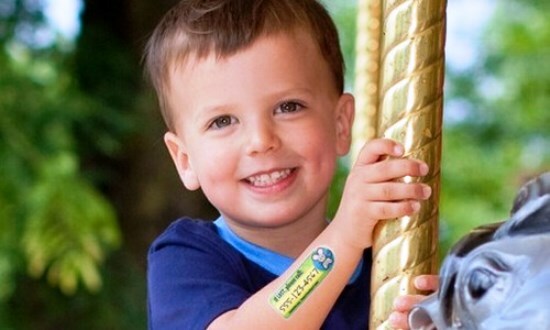 Theme park veterans know these final tips, but for first-time visitors with young kids here are a few more ideas to note: At the beginning of each day, take a photo of your children. Should someone get lost, this photo will allow you to show park employees exactly what your child looks like and what he/she is wearing that day. Last but not least, as an added measure of safety consider coordinating your children’s shirts and selecting bright colors. A neon yellow or pink shirt can be easily spotted from a distance. Or take this idea one step further with a custom design! Time to hop to it! 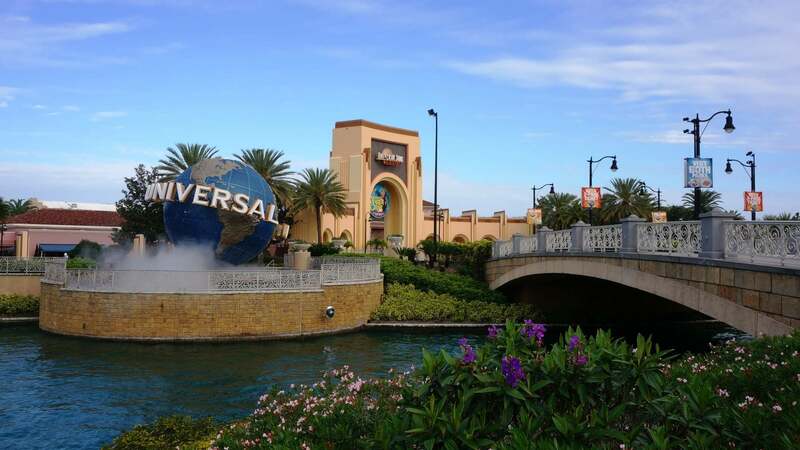 Certainly your packing needs will be unique to your family, but with this list and our ideas, we hope you’ll have almost everything covered for a great Universal Orlando family vacation. Please note that this page does contain affiliate links, so a small portion of your purchase may go towards maintaining our website!